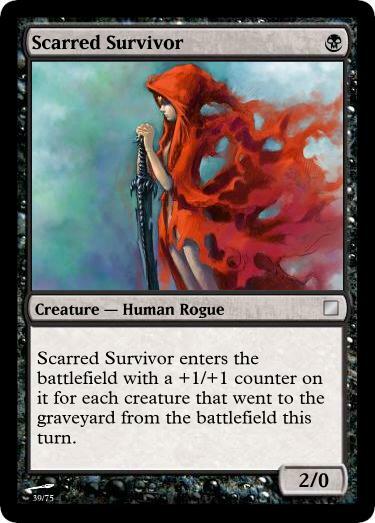 3/16/2011 - Scarred Survivor was originally a 1/1 for 1 but it seemed too similar to (and largely worse than) Mortician Beetle. I tried making it 2cc but at 1/1 it felt too weak and at 2/1 it felt a bit strong. That's when I realized I could make it relevant that it's ability isn't triggered and require the player to play it in response to a death or two. Bigger hoop, bigger prize. Everyone wins. That is a very nice idea. I think though, perhaps it should be rare. First off, I think it's generally a good idea for a creature that gets +1/+1 counters like this to have equal p/t. There are certainly exceptions to this general rule, admittedly, but I think if you can avoid it it's best to go with that. Second, I think it's good to avoid having creatures that you can't actually play unless their condition is met (if at all possible). Basically, I don't see a good reason for this to have 0 toughness. So I think I like this guy best as a 1/1. I don't really understand how this is so similar to Mortician Beetle. You can run out Mortician Beetle on the first turn, while this guy you hold in your hand till the right moment. It is definitely a lot worse than Mortician Beetle, though. 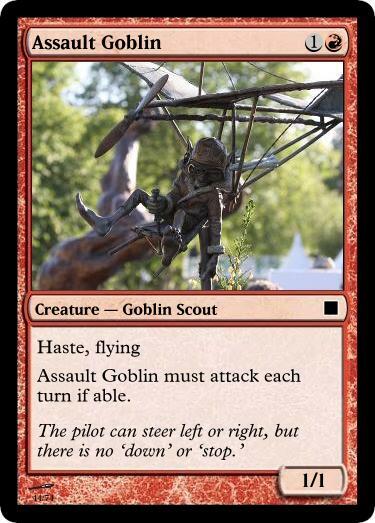 Put a +1/+1 creature on target creature you control for each creature put into a graveyard from the battlefield this turn. 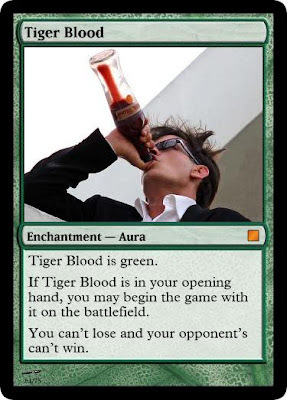 When CARDNAME enters the battlefield, destroy all other creatures. When CARDNAME enters the battlefield, put a +1/+1 counter on it for each creature put into a graveyard from the battlefield this turn. 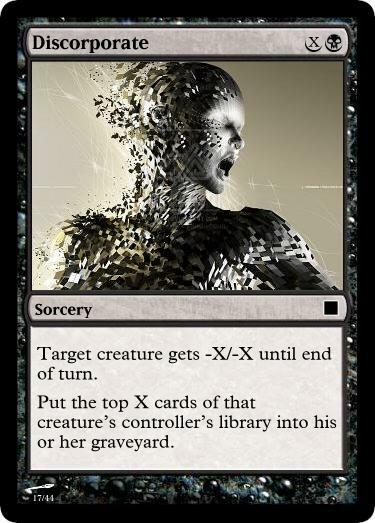 This starts to look a lot more like Phyrexian Rebirth, though. 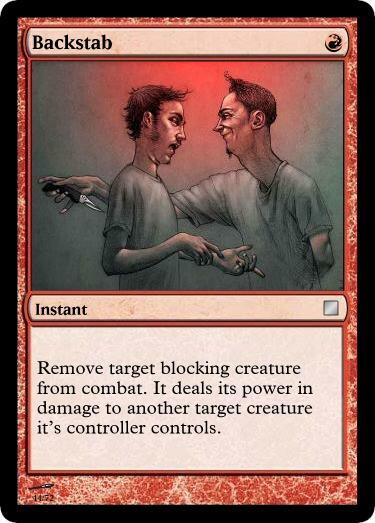 Anyway, I think the core concept of the card has potential, but I don't really like this implementation. Ok, I guess I wasn't done. Basically, if you make it have a bigger effect without the condition being met cost more, than there will be less of a chance that you'll be able to cast it when it's relevant (like with Killing Frenzy). But if you make it a small effect that's cheap then it's often a dead card. 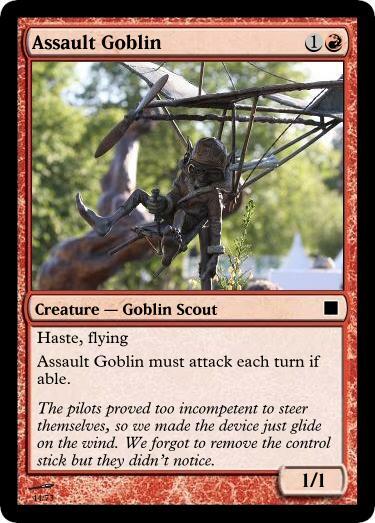 Put a +1/+1 counter on target creature for each creature that was put into a graveyard from the battlefield this turn. I like Killing Frenzy, though I think it needs some tweaking since you can only play it if you and your opponent both have a creature. I like Hunger for Flesh too. I wonder if you couldn't say "Sacrifice any number of creatures" so that it can work without a sacrifice as well as with a whole bunch, if you're so inclined. I was thinking about that too. At that point it becomes kinda like giving a creature Devour 1, heh. There are a lot of cards like that, actually: Devouring Greed and Devouring Rage, but also Plunge into Darkness, Reprocess, and Vicious Betrayal. The first two give you one "free" one, while the other three don't, presumably at least in part because it's not in black's color pie to just get to draw cards, gain life, and pump creatures P/T. So I think Hunger for Flesh would not give the players a "freebie" counter if it used a similar template. I think, though, that sacrificing one would be better, because otherwise the card might as well function as all the other ones do and only give bonuses for each creature sacrificed. If you allow players to sacrifice any number of creatures than counting any other creatures that hit the graveyard because much less relevant (except in multiplayer, for example). It should definitely be rare, but I kind of like the original design. It's cool that you can't get stuck with two of them in your hand. I think it's probably a zombie, not a human, though!